The holidays are that special time of year when wearing your pajamas to the airport and lounging around your parents’ house for hours on end in your sweats is completely acceptable. The mere prospect of wearing “real clothes”—AKA jeans, dresses, and tops—suddenly feels like a dreadfully unnecessary task, and, in fact, it is. An equally comfortable and stylish alternative to your faded tees and holey sweats are fashion-forward athleisure pieces (and yes, leggings fall into this category). When comfy is key, the trick to looking more pulled together is finding those just-stylish enough pieces that are performance-inspired but built a little more for form. 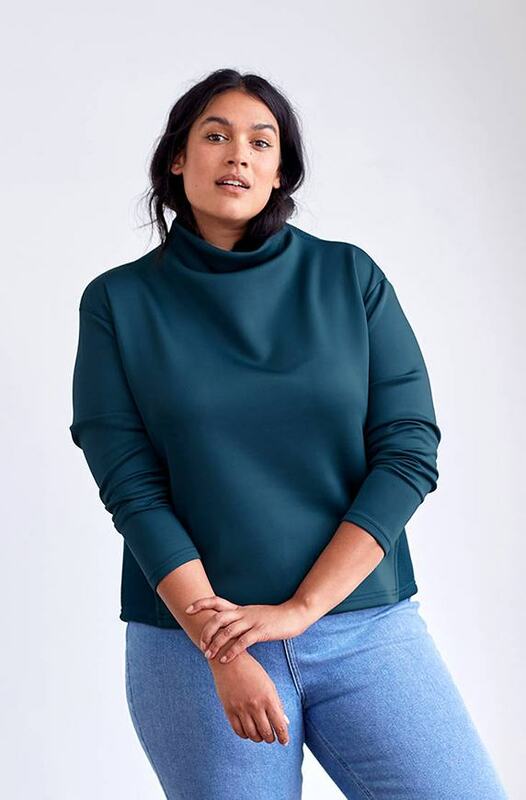 Then, it’s a matter of pairing them with relaxed essentials like an oversized sweater, fleece-lined legging, or knitted jogger—when you’re feeling particularly driven, stretchy jeans are an easy way to level up athleisure staples without feeling like a comprise in comfort. The effect is the epitome of cozy-cool and a look that your family (and onlookers you encounter during a grocery store run) can’t judge you for. If you’re planning to spend the rest of 2018 catching up on Netflix and face-masking on the couch, check out these nine ultra-stylish athleisure pieces that are equal parts comfy and chic. Real clothes, see you in 2019. Track parts are one of those pieces that look as great with a button-down and heels as they do with sneakers and a tee. For laid-back luxe at home or on the go, team this pair with a cashmere crewneck, sleek trainers, and a hoodie for added warmth. When peak cozy if your ultimate goal, sweatpants are a natural go-to. Kick this combo up a notch by opting for cashmere pants and this sleek sweatshirt with an oversize down-filled collar for a touch of sport. Nothing beats leggings on lounging days, but when it’s time to mingle at the family holiday function, dressing them up a bit is best. A checked pair is festive in place of basic black and appears instantly polished with an oversized sweater and tall boots over top. Fleece hoodies have made a strong comeback this season and a winter-white version feels supremely festive this time of year. Whether worn with your comfiest joggers or stretchy jeans, what could be better on cold flights or at home by the fire (or next best thing: the Netflix fireplace)? 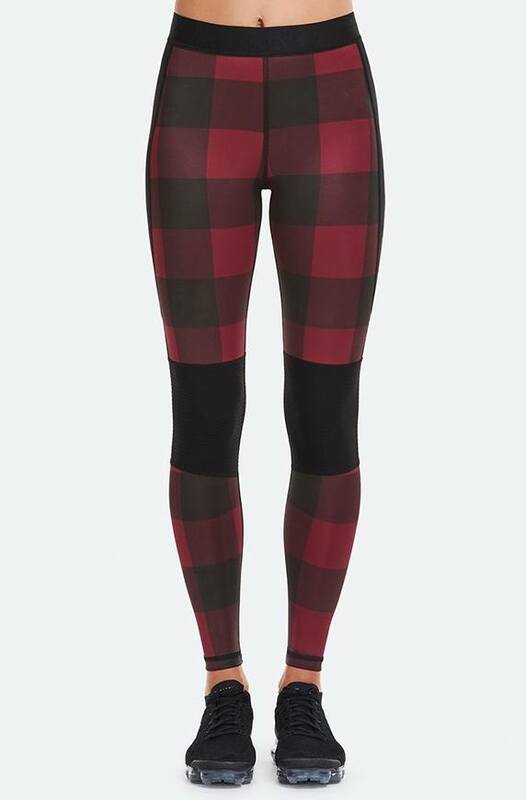 Okay, so you don’t want to part ways with your comfiest black leggings. This velvet, off-the-shoulder sweater will provide a spirited twist that looks totally luxe—what more could be better for a holiday shindig? 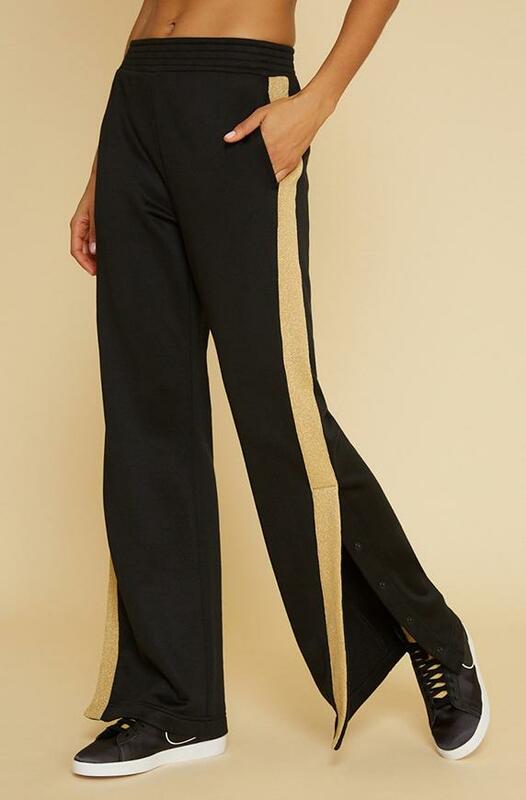 If you thought sweatpants couldn’t be tailored, look no further than this cropped pair from Lou & Grey. Worn with a cashmere knit or long sleeve T-shirt, it’s like the cozy version of a workwear blouse and trousers. If a hoodie isn’t your go-to layer, a sleek sweatshirt is a polished alternative. With track pants, joggers, or leggings, this jewel-toned version is the ultimate way to avoid a sloppy look in transit. Never underestimate the power of a coordinating set, especially one in ribbed cashmere. To give it a fashion-forward spin, try layering a striped turtleneck underneath and punctuate with fuzzy slides and a beanie. A crop top may. Not be the first thing you reach for when lounging, but around the holidays, a velvet shell is flawless with high-waist bottoms—for the ultimate in festive, don’t be afraid to double up on velvet and layer on a chunky duster over top. Keep the cozy vibes going with a bra so comfy you’ll forget you’re wearing it.